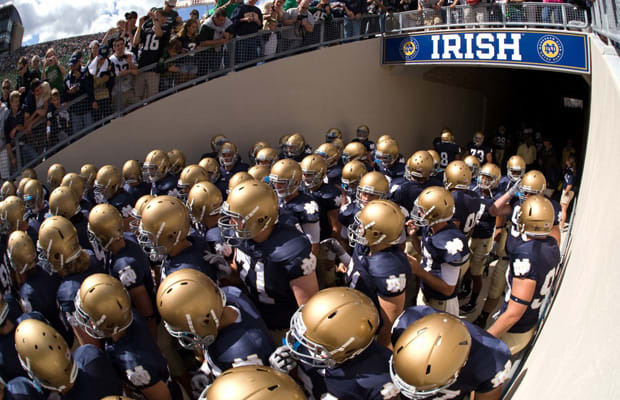 Will Notre Dame ever contend for a national title again? You don't ever want to say never. But they've bitten off too much for their schedule. I don’t understand why they would add Oklahoma with the schools they already play every year. Their talent level is better than it has been, and is getting there. Brian Kelly is a smart and good coach. As long as the schedule is the way it is, they are going to struggle to win. Being in a more structured conference schedule would actually help them more because they’d be playing opponents regularly that they could become familiar with. Being independent is not doing them any favors.